Oppo Reno Standard Edition and 10X Zoom Edition have been officially launched in China. These are the mid-high range smartphones comes with up to 8GB of RAM, Game Boost 2.0, running Android Pie based on ColorOS 6 and a 48-megapixel main rear camera with Sony IMX286 sensor. 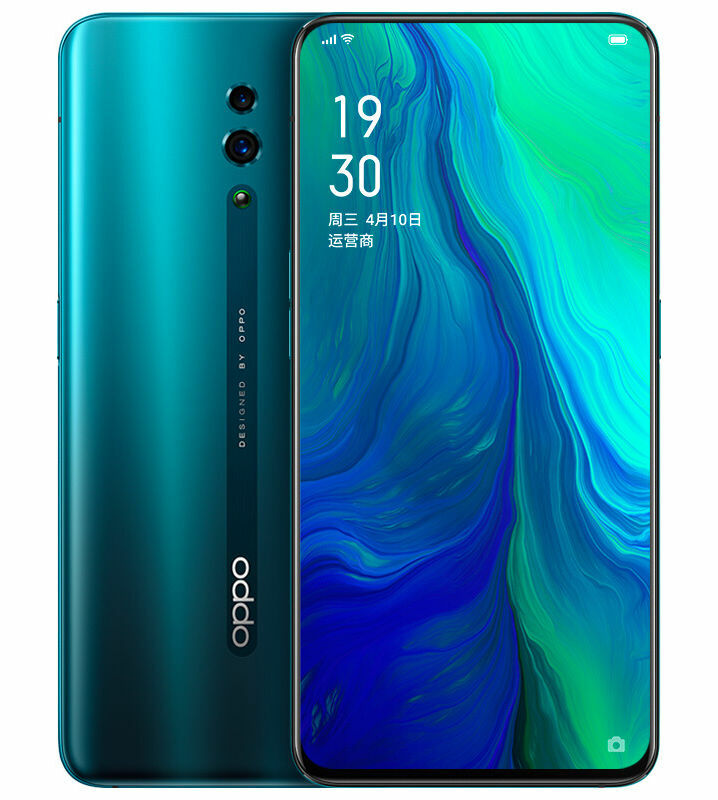 The Oppo Reno Standard Edition price in China starts from CNY 2,999 – approximately $446 for the 6GB RAM with 128GB storage version, CNY 3,299 – approximately $491 for the 6GB RAM with 256GB storage version and the top-end 8GB RAM with 256GB storage version costs CNY 3,599 – approximately $535. It is now available for order in China and goes on sale from April 16. The handset comes in Green, Pink, Purple, and Black color options. 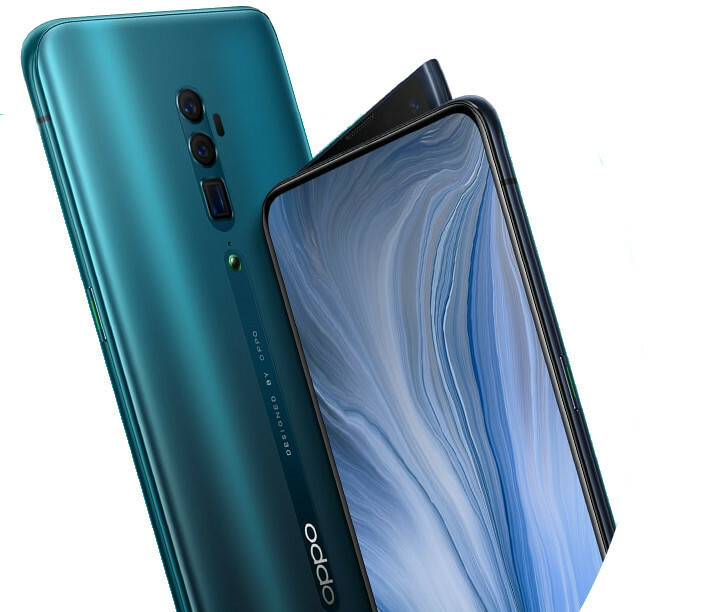 The Oppo Reno 10X Zoom Edition price in China starts from CNY 9,999 – approximately $595 for the 6GB RAM with 128GB storage version, CNY 4,499 – approximately $669 for the 6GB RAM with 256GB storage version and the top-end 8GB RAM with 256GB storage version costs CNY 4.799 – approximately $714. It will go on sale mid-May. The company will also introduce a 5G version next month. The handset comes in Green and Black color options. 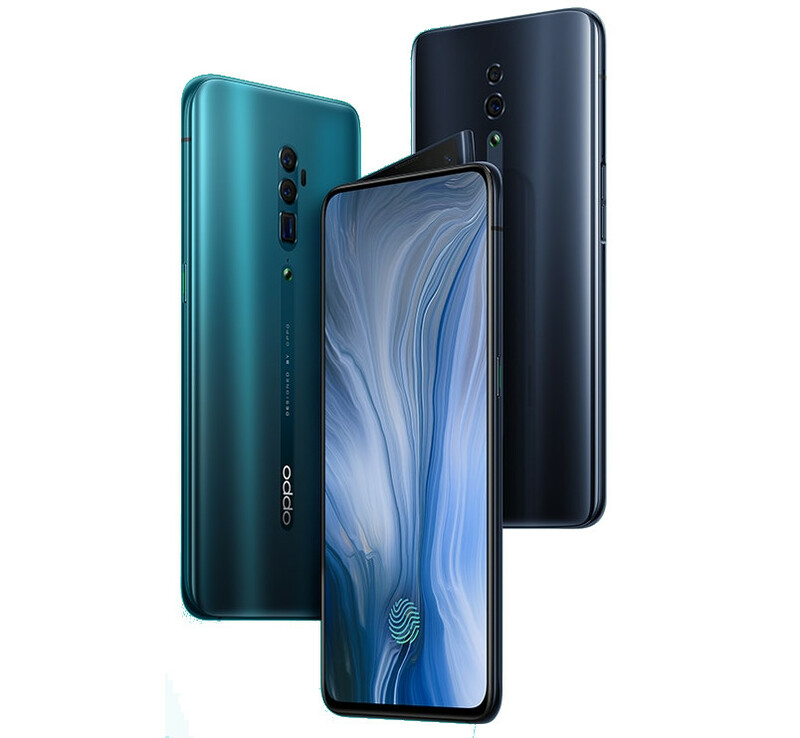 The Oppo Reno Standard Edition features a 6.4-inch AMOLED display with FHD+ (2340 x 1080 pixels) resolution, 19:5:9 aspect ratio, 430 nits brightness, 97% NTSC color gamut, Corning Gorilla Glass 6 protection. It is powered by a 2.2 GHz octa-core processor which supported by Snapdragon 710 10nm Mobile Platform with Adreno 616 GPU and 6GB / 8GB LPDDR4X RAM with 128GB (UFS 2.1) storage, 8GB LPDDR4X RAM with 256GB (UFS 2.1) storage. On the camera front, the Reno bears a 48-megapixel primary rear camera with LED flash, 1/2.25″ Sony IMX586 sensor, 0.8um pixel size, f/1.7 aperture, PDAF, CAF, 5-megapixel secondary camera with f/2.4 aperture. For selfie, there is a 16-megapixel side-lifting camera on the top with LED flash, f/2.0 aperture, 79.3° wide angle lens. The company says that it will withstand over 200,000 times of lifting and the mechanism takes just 0.8 seconds. The Oppo Reno Standard Edition comes with an in-display fingerprint scanner that the company says it 28.5% faster than the predecessor. The device runs on Android 9.0 Pie -based on ColorOS 6 out of the box. It packs 3765mAh battery with VOOC 3.0 fast charging. It supports dual SIM slot with dual standby and for connectivity includes Dual 4G VoLTE, WiFi 802.11 ac (2.4GHz + 5GHz), Bluetooth 5, GPS/GLONASS, NFC, USB Type-C. The device measures 156.6×74.3×9.0mm and weigh 185 grams. The Oppo Reno 10x Zoom Edition features a 6.6-inch AMOLED display with FHD+ (2340 x 1080 pixels) resolution, 19:5:9 aspect ratio, 100% NTSC color gamut, Corning Gorilla Glass 6 protection. It is powered by a 2.84 GHz octa-core processor which supported by Snapdragon 855 7nm Mobile Platform with Adreno 640 GPU and 6GB / 8GB LPDDR4X RAM with 128GB (UFS 2.1) storage, 8GB LPDDR4X RAM with 256GB (UFS 2.1) storage. On the camera front, the Reno 10x Zoom Edition flaunts a same 48MP main sensor as Standard Edition, but a 13-megapixel periscope telephoto camera with f/3.0 aperture, and an 8-megapixel 120 degree ultra-wide lens with equivalent focal length of 15.9mm, f/2.2 aperture, 10x Hybrid Optical Zoom, which provides wide-angle shots and the telephoto camera offers 159mm equivalent focal length. It also has a similar 16MP side-lifting selfie camera as Standard Edition. The Oppo Reno 10x Zoom Edition also comes with an in-display fingerprint scanner, runs on Android 9.0 Pie -based on ColorOS 6 and packs 4065mAh battery with VOOC 3.0 fast charging. It supports dual SIM slot with dual standby and for connectivity includes Dual 4G VoLTE, WiFi 802.11ac dual-band (2×2 MU-MIMO ), Bluetooth 5, Dual-frequency (L1+L5) GPS/GLONASS/Beidou, NFC, USB Type-C. The device measures 162.0×77.2×9.3mm and weigh 210 grams.